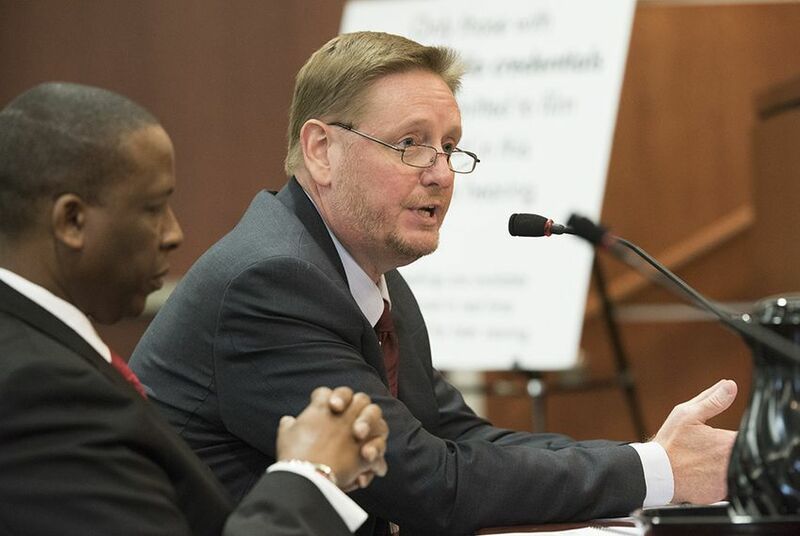 Ron Pigott, the Texas Health and Human Services Commission's deputy executive commissioner for procurement and contracting services, is the latest person to leave the agency amid a shake-up over contract mismanagement. The shake-up over contract mismanagement at the Texas Health and Human Services Commission continued Friday with the resignation of another state official who oversees contracting. Ron Pigott, the agency's deputy executive commissioner for procurement and contracting services, is leaving as officials work to rebound from continued verbal shellackings and scrutiny by auditors, legislators and Gov. Greg Abbott in the past week. Pigott stepped into the role in 2015 and previously headed procurement at the Texas Comptroller's Office. Carrie Williams, a spokesperson for the commission, confirmed Pigott’s departure in an email. Pigott is the fifth person caught in the fallout over the commission’s shoddy contract management. Just two days earlier, Chief Operating Officer Heather Griffith Peterson resigned, and last week three commission employees were fired following a scathing letter from Abbott to Executive Commissioner Charles Smith over contracting failures related to the Children’s Health Insurance Program in rural communities. Earlier this week, the State Auditor’s Office released a report slamming the commission and the Department of State Health Services over mishandling a contract for how Genesis Systems Inc. would work with the state’s birth and death records system. Auditors cited misreporting, inaccurate calculations and a failure to seek proper approval for contract exemptions. At the time Pigott’s hire was announced, then-Health and Human Services Executive Commissioner Kyle Janek said in a January 2015 news release he was “assembling a team of experts to help strengthen oversight and monitoring of contracts.” In the release, John Scott had recently been named the commission’s chief operating officer and Pigott had been hired alongside Matthew Chaplin, who was being brought in as director of system contracting, to strengthen oversight of the health agency’s contracts. None of the men are at the commission anymore. Disclosure: The Texas Department of State Health Services has been a financial supporter of The Texas Tribune, a nonprofit, nonpartisan news organization that is funded in part by donations from members, foundations and corporate sponsors. Financial supporters play no role in the Tribune's journalism. Find a complete list of them here.